WAYNE ROONEY was given an England send-off on Thursday – maybe it's time for Alex McLeish and Kenny Dalglish to dust down their boots. Scotland's squad for the vital Nations League trip to Albania has been decimated and we could do with some of the old brigade returning. Big Eck has settled for bringing back Steven Fletcher and he's likely to start up top with Steven Naismith and Leigh Griffiths missing. The only real options are Matt Phillips who has been in good form with West Brom or Callum Paterson who has been playing up to for Cardiff. At the back his problems are more serious with experienced duo Christophe Berra and Charlie Mulgew out and he's also lost Stephen O'Donnell, Mikey Devlin and now Kieran Tierney. You know times are tough when Devlin's regarded as a big loss. That means Scott McKenna and David Bates or Jack Hendry will form a youthful centre-half partnership with Andy Robertson and possibly Paterson the full-backs. It's asking a lot for such a young side to come up with a result but the Scots must avoid defeat if they've got a chance of topping their table. We beat Albania fairly easily at Hampden and are rightly favouites at 29-20 with Betfred. It's difficult to back us but I reckon we'll at least draw ahead of a group decider against Israel at Hampden on Tuesday. Scotland draw no bet pays 7-10 at Marathonbet while we are 4-11 at boylesports not to lose. Albania have won just two of their last 10 at home and that gives us hope. They beat Israel in the Nations League and before that saw off Liechtenstein. In that spell the likes of Ukraine, Kosovo, Bosnia and Israel have all won there. 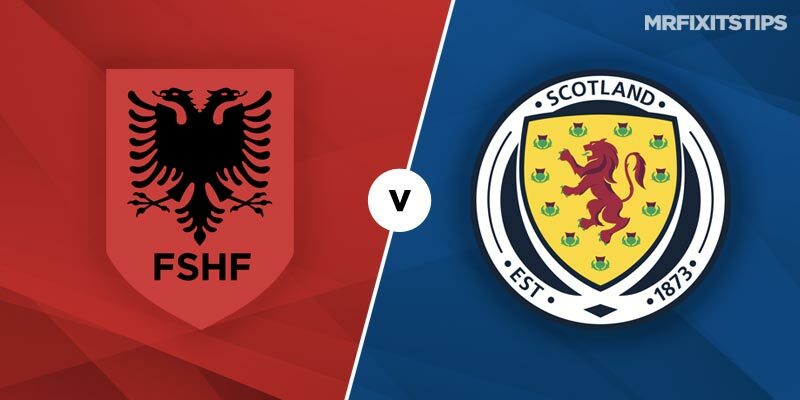 Scotland are on a terrible run of eight defeats in nine – the Albania victory their only reprieve. Again that could be key but where do the goals come from? It's likely midfielders will need to chip in and the likes of James Forrest, Callum McGregor and Ryan Fraser have all been in good form. One of them may have to step up to the plate and McGregor is the most likely. The Celtic star is 6-1 with Paddy Power to score but I'd rather see the line-up before taking this one on. With both sides struggling to score best bet could be under 2.5 match goals at 4-7 with boylesports. Elsewhere today best bets are Kosovo at 1-2 with bet365 at Malta and Romania at 1-3 with McBookie at home to Lithuania.